Being a marvelous country settled into the mighty Himalayas, the beauty and grace of Bhutan are indefinable. Monasteries in Bhutan have emerged as the central tourist attraction due to the spread of Buddhism in this country. But what’s so special in them? Yes, the teachings, chanting, prayers, and atmosphere of these monasteries bless the visitors with positive vibes and pacifism. In addition to all this, the architecture of these ancient monasteries amazes every single person who beholds their sight. Far away from hustle bustle of the city, Secluded Mountains become the perfect place for the construction of these monasteries. The reason for selecting such a location is to provide adequate solitude to monks during their prayers. 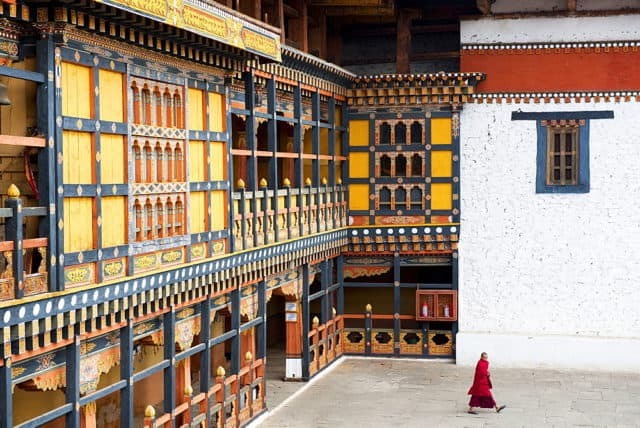 You can spot such monasteries in every village of Bhutan where the locals pay regular visits for religious guidance. Travellers and tourists usually stop at these religious places out of their curiosity to understand the sacred religion of Buddhism. Amidst all this chaos of regular visitors, one can feel the serenity which these monasteries offer. So, let’s jot down the monasteries in Bhutan which are worth paying a visit during your Bhutanese trip. The dark, cold and narrow caves hold mesmerising beauty within their core. You will agree on this after viewing the ancient paintings of Bodhisattvas (people who attained Buddhahood) in these caves. The artistic charm of the sacred scripture which had been scripted with the dust of bones of a Lama will surely make you spellbound. The astounding view of the entire mountainous landscape from the top balcony will be your reward! Thousands of devotees come to offer prayer at Taktsang monastery as it was the meditating point of Second Buddha of Bhutan, Guru Rinpoche. If you want to get acquainted with the Bhutanese architecture, then Rinpun Dzong monastery of Paro valley should be added into your list. Perched on a hill, anyone can view the massive walls of this monastery from the valley. The title of ‘fortress on a heaped jewels’ sounds quite significant for this place as it houses monastery as well as government offices. Do you feel curious about Buddhism? If yes, then you can feed your knowledge about this peace-making religion at Tango monastery. It comes under the list of the top Buddhism educational institutions of Bhutan. An hour-long trek amidst the fascinating vistas of Cheri Mountains will lead you to this monastery. Six huge temples with bountiful scriptures are ready to capture your entire attention in the premises of monastery. 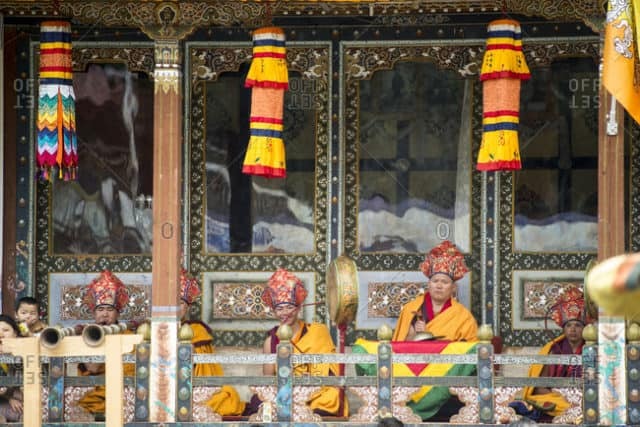 These temples are Trulku Lhakhang, Guru Lhakhang, Choeku Lhakhang, Gonkhang Lhakhang, Longku Lhakhang and Namsey Lhakhang. The monastery got its name from a huge horse face-shaped rock found inside its cave. You can admire thrice of a man’s height Buddha statue inside Trulku Temple built with gold and copper. Apart from it, there are lots of such precious statues to astonish the visitors. You can explore the entire monastery with friendly monks who will also offer you some snacks while narrating amazing tales. The art and architecture of Punakha Dzong fully justify its title, ‘The place of great bliss’. While exploring this second largest and oldest monastery in Bhutan, the wave of an eternal bliss will engulf you! Situated between two sacred rivers, Pho Chhu, and Mo Chhu, this monastery is the winter house of the head monk (Dratshang). The Dzong was built as an embodiment of Buddhist values with the mountainous backdrop in the 17th century. A very large Stupa and Bodhi tree can be spotted in the first courtyard of this monastery. Even after many floods, this place holds its artistic elements intact. The monastery is also famous for embalmed remnants of Ngawang Namgyal whose blessings kings used to take earlier. You can view the chapel of the queen of Nagas here. Kurjey Lhakhang is named after the body prints of Guru Rinpoche which he left in the caves of this monastery. Due to this, Kurjey Lhakhang hosts several devotees every day. The famous struggle of Guru Rinpoche and the demon is depicted through scripture in the temple premises. The interesting part is that you can enter the lower level only through a narrow tunnel which anyone can cross by crawling. According to locals, one can leave all your past sins behind by crawling through this tunnel. 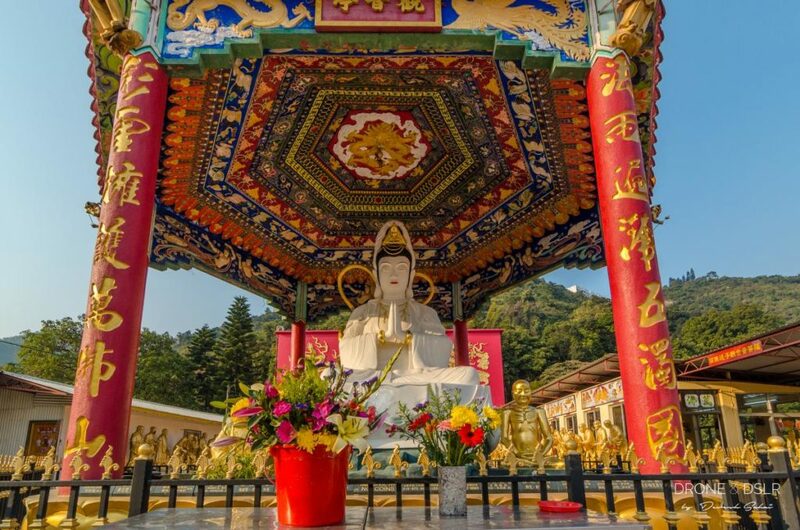 Thousands of small statues of Guru Rinpoche and Pema Linga will welcome you after crossing the tunnel. Be ready to see the hidden meditation cave behind the main statue of Guru Rinpoche where he left his holy body imprints. The 3D depiction of the heaven of Guru Rinpoche will make your day! 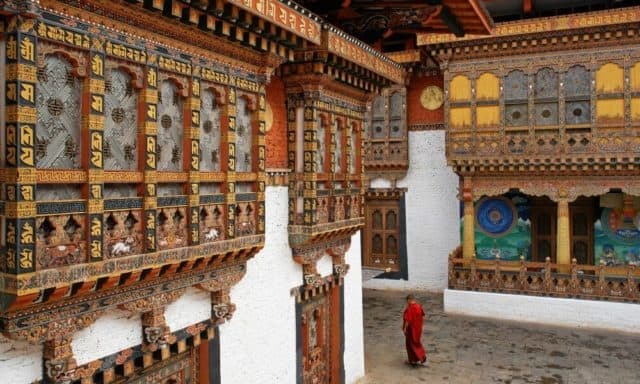 You can praise the monasteries in Bhutan only after visiting these beautiful monasteries which depict a long-lived religious significance within its each and every scripture.